BETHANY ROONEY worked in Bruce Paltrow’s office and thanks to the work of the Original Six and other activists in the 1970s who opened doors for women in the Industry she was asked to work for Paltrow’s seminal series St. Elsewhere. 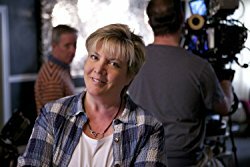 She has gone on to direct for many, many television series since – and shares her knowledge about directing through her blog.